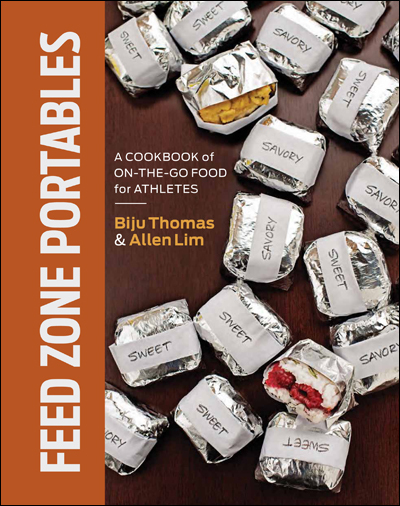 VeloPress has improved distribution of the e-book edition of The Feed Zone Cookbook to more countries. We expect the e-book to become available in the above countries in the next 2-3 weeks. Apple can take several weeks to make an e-book available. We have made the e-book files available to Apple’s iTunes store and there are no foreign rights agreements that prevent The Feed Zone Cookbook e-book from being available in the countries listed above. Please let us know if you are able — or not able — to find the e-book in the countries above. Where possible, we’ll try to help move things along. 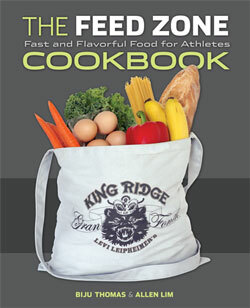 The e-book edition of The Feed Zone Cookbook is available exclusively on iTunes. The full-color interior and photographs mean that VeloPress has released the e-book edition on iTunes only. The e-book is intended for use on iPad and similar large screens. We do not recommend buying the e-book for an iPhone. Because of the very costly and time consuming conversions required to reformat the book to two new specs for Amazon’s Kindle Fire tablet and Barnes & Noble’s Nook tablet, we do not have plans to release e-book editions for those devices at this time. The Feed Zone Cookbook e-book is now available on iTunes in more countries. Any news about publishing in the norwegian store? Please make this book available in the Amazon book store. I would like to read it on my Kindle.